In this fascinating, sharply written insight into America's $15 billion cosmetic surgery industry, author Alex Kuczynski paints an incomparable picture of obsessive patients and the equally obsessive doctors who cater to their dreams. 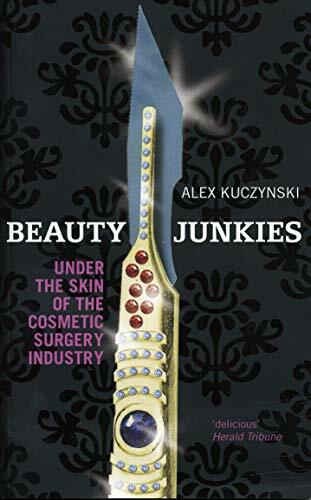 In this fascinating, sharply written insight into America's $15 billion cosmetic surgery industry, author Alex Kuczynski paints an incomparable picture of obsessive patients and the equally obsessive doctors who cater to their dreams. From a group of high-maintenance New York City women who devote themselves to preserving their looks twenty-four hours a day and a podiatrist's office in Manhattan where a 'foot face-lift' provides women with the right fit for their $700 Jimmy Choos, to a 'surgery safari' in South Africa complete with photographs of magically rejuvenated patients posing with wild animals, Kuczynski portrays the quest for transformation in all its extremes. In Los Angeles women of an uncertain age even nip and tuck their most private areas, so that every inch of their bodies is as taut as their lifted faces. Lively and entertaining, thought-provoking and disturbing, Beauty Junkies is a fascinating insight into life under the knife.